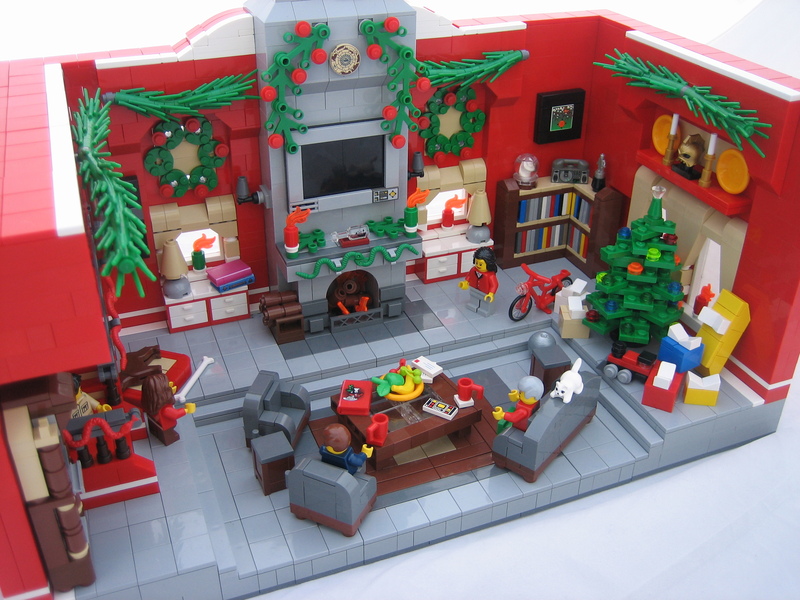 The “A Very Merry Christmas!” MOC from Outer Rim Emperor on flickr is an interesting diaorama of Christmas elements. He has everything from wreaths to holly boughs. Of particular interest should be the snakes used as garland decorations. 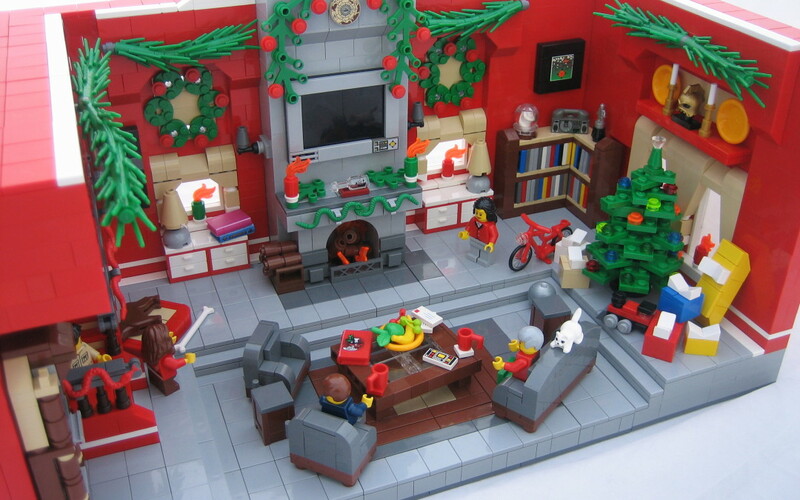 Clearly there are a lot of red LEGO bricks used in this build, but it really sets the scene. This lovely design uses a good combination of red LEGO bricks mixed in with dark red LEGO bricks. The designer does a nice job of making the wall seem like a regular brick wall. It’s a nice technique and great look for small scenes. 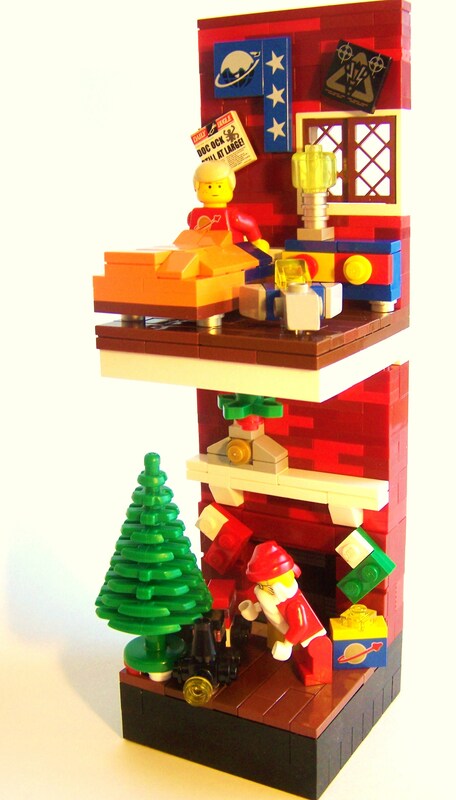 Jameson’s design for a winter village addition for a Eurobricks contest 5 years ago usesa large amount of red LEGO bricks in comparison to the total bricks used in his design. The contrast against the white of the roof is excellent and really adds color to the whole building. 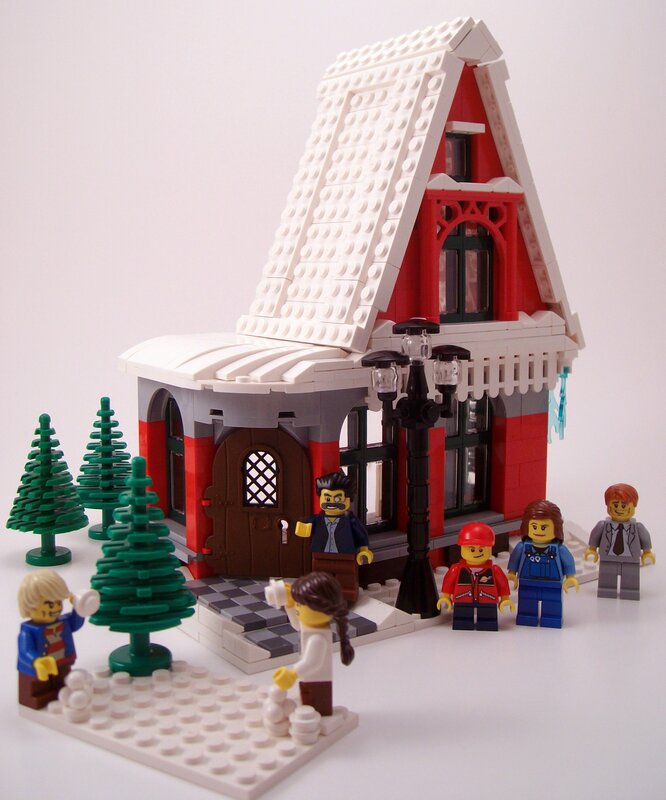 This definitely would be a nice addition to any winter village.